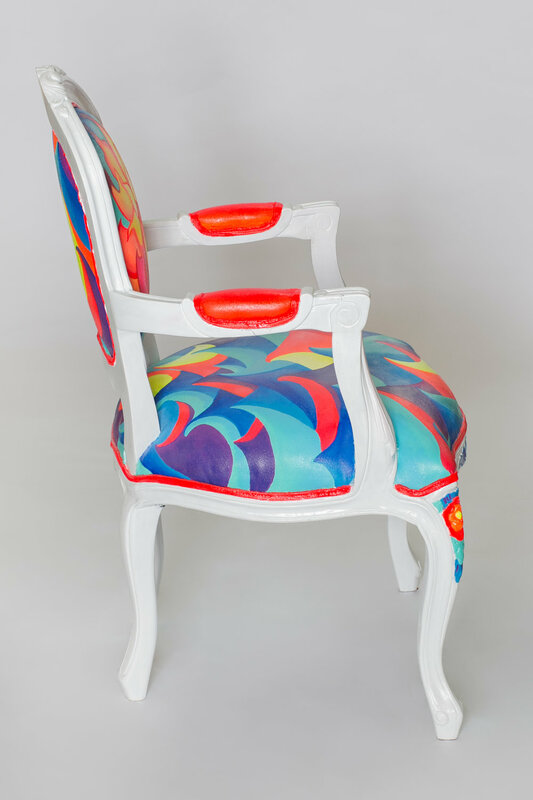 Perpetual Horizon is a hand painted Louis XV Chair for the 2016 CHAIRity Singapore Fundraiser. On December 8th the 'CHAIRity' exhibition launched at the ION Orchard Gallery with two very special guests, the Prime Minister of Singapore, Lee Hsien Loong and his wife, Ho Ching. Following the exhibition, the Prime Minister would go on to admire Leigha's art chairs by posted about them on his Instagram and Facebook accounts. On the night of the 2016 'CHAIRity' event, both Leigha's hand painted Louis chairs were auctioned off for a total of $16,000 that went toward the addition of a new wing for the Rainbow Centre school for special needs.